Stock status is current as of 4/23/2019 2:30 AMET. By partnering with Symantec Managed Security Services as their remote security team, organizations can leverage Symantec's global network of SOCs, security experts, best practices, correlation capabilities and intelligence to protect their IT assets, people and information in a rapidly evolving threat environment. Symantec's powerful analytics combined with industry leading service performance warranties distinguish Managed Security Services and provide enhanced value. Symantec Buying Programs are designed to streamline the purchase of Symantec security and availability software as well as support and maintenance services. Aligned to a variety of business requirements, Symantec Buying Programs offer enterprise customers the ability to earn greater discounts and to effectively track and manage software licenses. The Symantec Rewards program provides mid-sized and large organizations with streamlined procurement of all Symantec software products as well as support and maintenance services. With volume-purchase incentives and predictable pricing methodology, Symantec Rewards offers the added flexibility of decentralized purchasing. In addition, Symantec Rewards offers online tools and a programmatic way for customers to simplify how they track and manage their band and purchase points. Companies with branches or affiliates (especially if they are located in multiple countries) will appreciate the global purchasing power offered by Symantec Rewards. Purchases under the original customer's Symantec Agreement Number (SAN), made by any corporate affiliate within the qualified region, are qualified to earn points that accumulate and count toward the corporate pricing band. 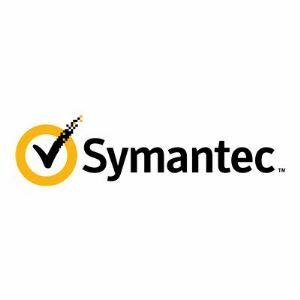 Symantec logos are registered trademarks of Symantec. All others trademarks and copyrights mentioned herein are the property of their respective owners.